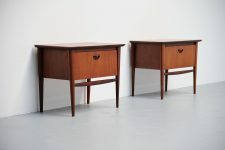 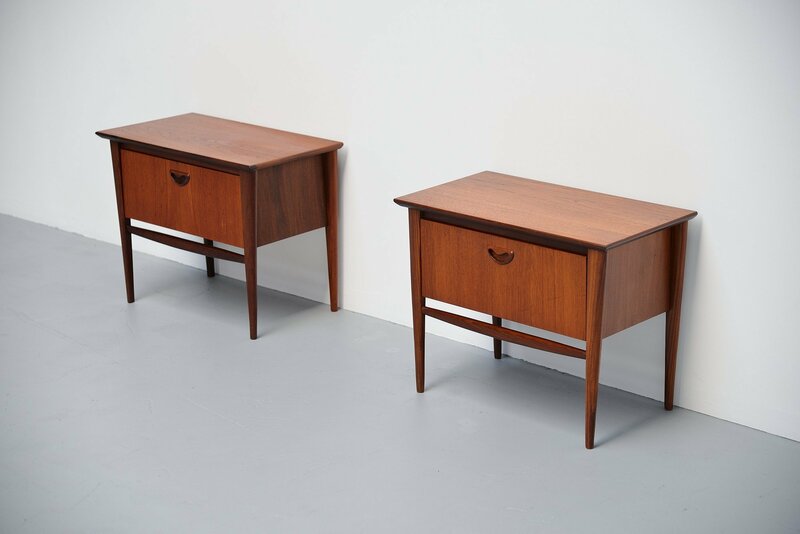 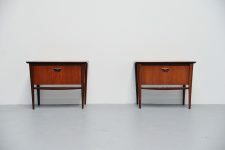 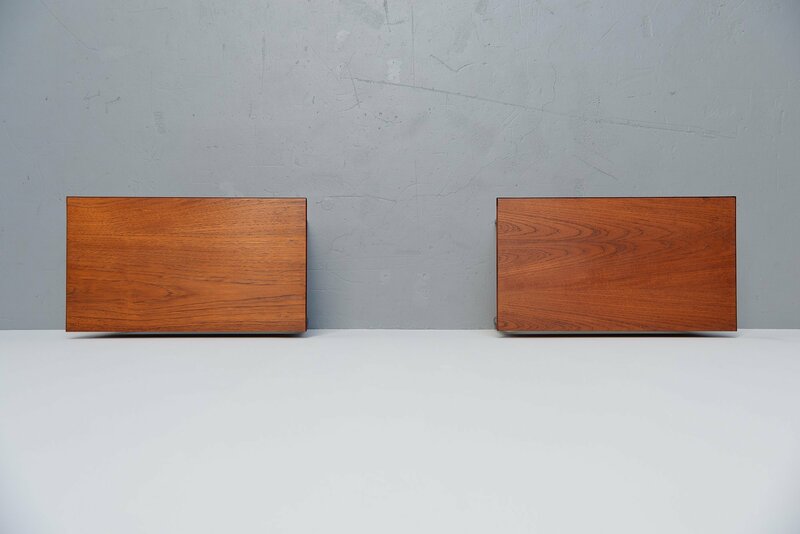 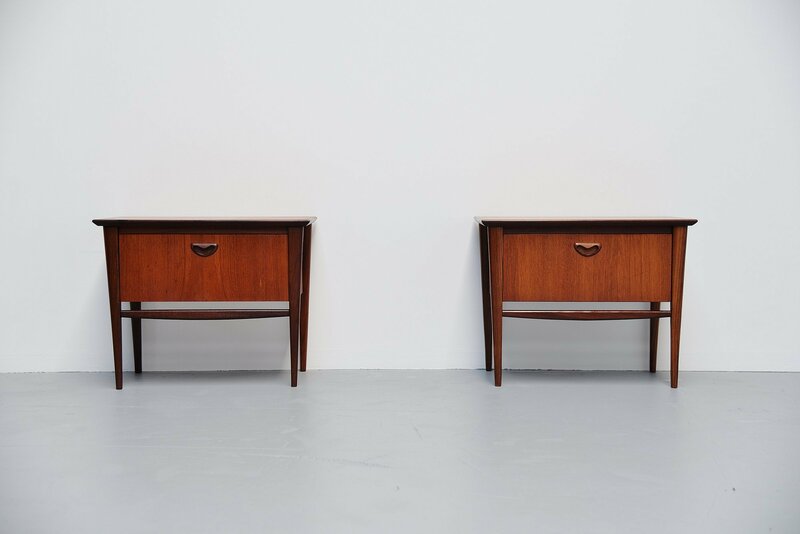 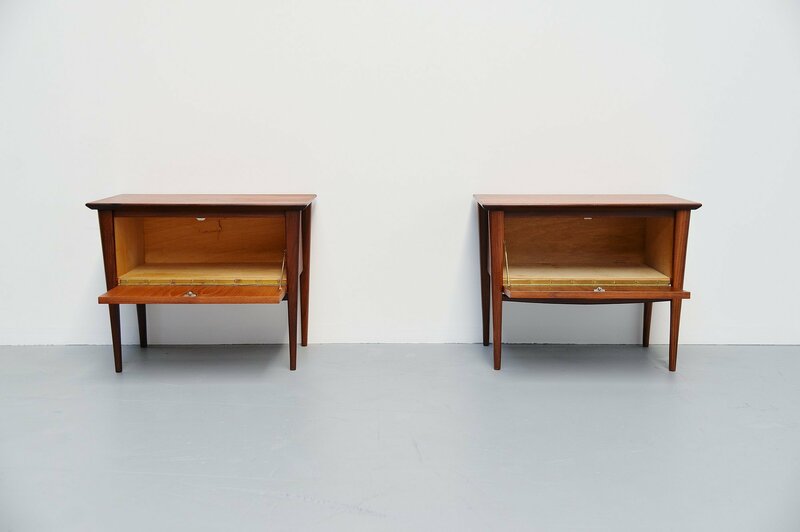 Very nice pair of night cabinets designed by Louis van Teeffelen for Webe Meubelen, Holland 1960. These teak night stands are very nice organic shaped. 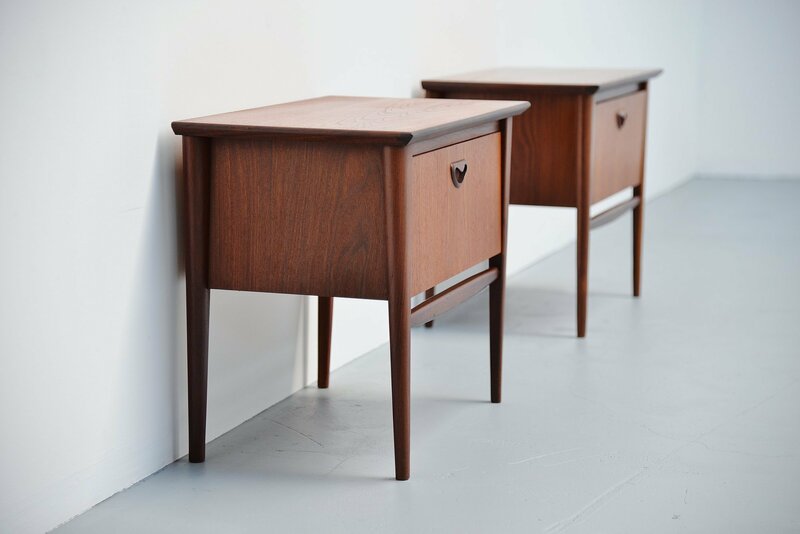 Webe was one of the better furniture makers from Holland and they inspired their furniture on the Danish craze from the same era. 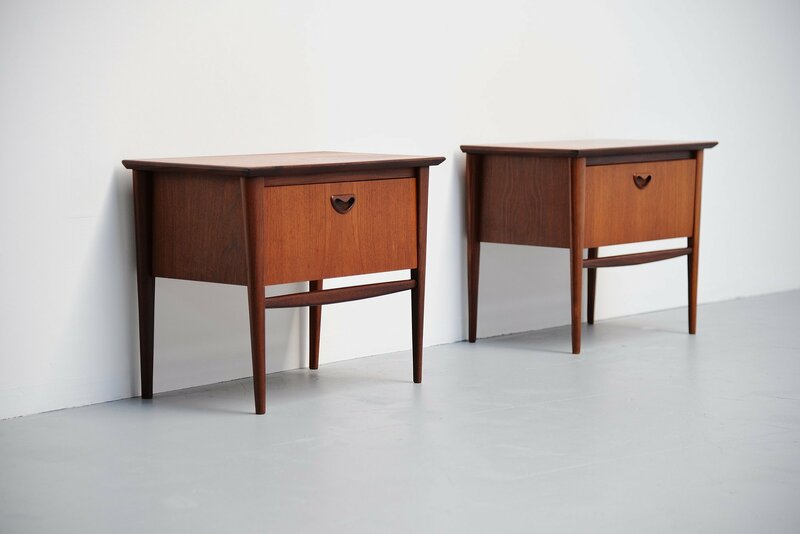 The quality is pretty much the same as most of the Danish designs from the same period. 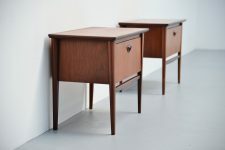 The cabinets are still in good original condition with minor wear from age and usage. They are clean and don't smell.